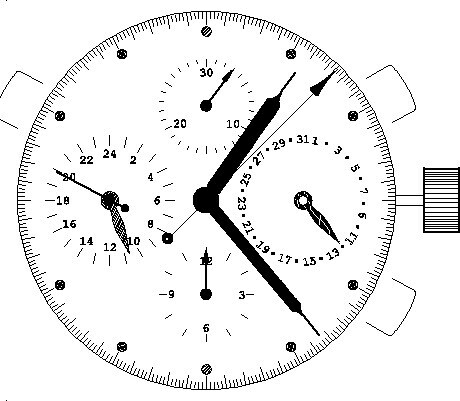 Chronograph Valjoux 7750 with a second timezone at 9 o'clock and date by hand at 3 o'clock. The correction of the second time is made sequentially by a pusher. This model also available in version skeleton: 7750 SF9C3h.